It has been a month I have shifted to Goa and I get to drink Kokum juice as Kokum is a essential component of the Konkan food culture. The Kokum juice here is called the Sol Kadi and owing to the humidity here it is given as a summer coolant and a digestive juice in any restaurant you visit. As I did a little research on this Kokum fruit I got to know about its various benefits which I would like to share. Kokum improves immunity as it has citric acid, carbohydrates, malic acid, acetic acid, hydro citric acid, ascorbic acid, vitamin B complexes, garcinol, manganese, potassium, magnesium, hydroxycitric acid as well as dietary fibre. It helps improve digestion and increases the appetite. It helps prevent infection as it has both antifungal as well as antioxidant properties. It has anti-ageing properties as it is extremely rich in antioxidants which help improve skin and its texture. It reduces the body heat and has cooling properties. It stabilizes the levels of cholesterol. It helps in decreasing the production of excess fat thus in turn helps in weight loss. It reduces the chances of heart disease and acts like a cardio tonic. It promotes cell repair and cell regeneration. It can help relieve you from acidity, flatulence, constipation and indigestion. It is a good source of dietary potassium which is needed for our heart to function properly. For flatulence — Kokum is taken along with ginger and honey. For constipation — Kokum needs to be taken daily at night before going to bed. For Headache and indigestion – Take 10 mature leaves and cook it well in a cup of water. Add a pinch each of ginger, pepper,cumin seed powder and salt. Let it simmer for 5 minutes. This is effective in headache and indigestion. 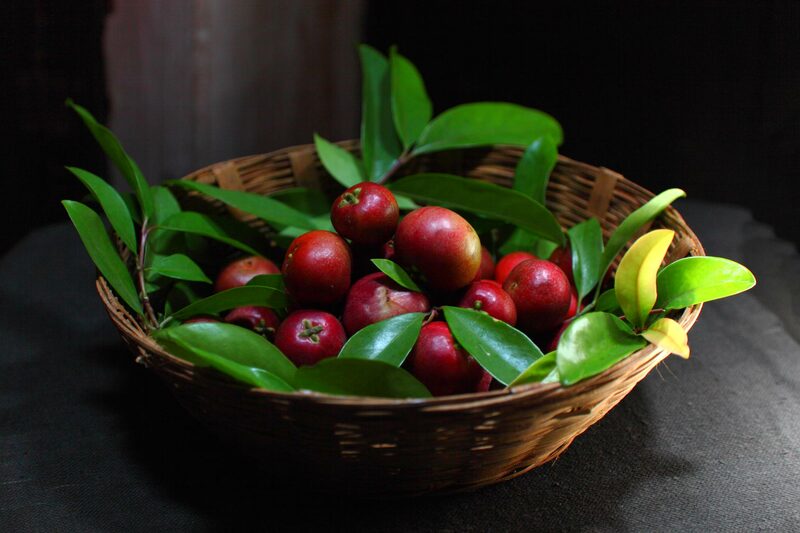 Kokum is a gift of nature which can be put to a variety of uses. It has been used in Ayurveda for a very long time and is now making its way to modern medicines too. If not for the medical benefits, try Kokum for the great taste it offers! It adds flavor to food, and health to life!